5 Simple Organic Chemistry Reactions that “Saved My Life”. Get ready for a tips-that-saved-my-life type of post for this one. Not with the idea to disappoint you, but this post will not help you to lose weight, improve your relationship with your boss or save your marriage. Rather than all that I have selected a “Top 5” of very simple organic chemistry reactions that at some point were crucial to the progress of my research projects. Mitsunobu Reaction. Discovered by Oyo Mitsunobu. This reaction can be a very useful and straightforward alternative to nucleophilic substitutions and as in the case of SN2 it proceeds with inversion of configuration. The Mitsunobu reaction allows the direct reaction of primary and secondary alcohols with acidic nucleophiles to afford products such as esters, ethers and amines among others. One of the reagents employed in the reaction, DEAD, (diethylazodicarboxylate) can be substituted by its cousin DIAD (diisopropylazodicarboxylate) if you are superstitious. Sonogashira Coupling. In my opinion every single synthetic chemist must have cross-coupling reactions in their “synthesis toolbox”. Palladium catalysed cross-coupling reactions are unarguably of most relevance as reflected by the 2010 awarded chemistry nobel prize. Discovered by Kenkichi Sonogashira, Sonogashira reaction allows the coupling of terminal alkynes with aryl or vinyl halides with a palladium catalyst, a copper(I) cocatalyst, and an amine as base. Wittig reaction. Discovered by Georg Wittig, for which he was awarded the nobel prize in chemistry in 1979. The Wittig Reaction is probably the preferred method for synthetic chemists for making alkenes. The reaction allows the preparation of alkenes by the reaction of an aldehyde or ketone with the ylide generated from a phosphonium salt. Triphenylphosphine oxide is generated in the process as a byproduct and sometimes it can be difficult to separate from the desired products. 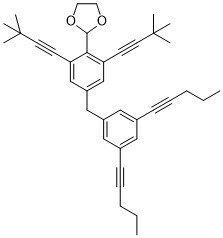 If you are sick of seeing that annoying triphenylphosphine oxide in your Wittig reactions you might want to take a look to the alternative proposed by O’Brien and co-workers from the University of Texas. Selenoxide elimination. Another useful method for the synthesis of alkenes. Selenoxides decompose to the corresponding alkenes at mild temperatures and can be readily prepared from nucleophilic carbonyl derivatives by reaction with selenylating reagents such as PhSeCl in the presence of a base. It is for this reason that selenoxide elimination has grown into a general method for the preparation of α,β-unsaturated carbonyl compounds. Electrophilic aromatic halogenation. Electrophilic aromatic substitution is a general type of reactions you find in the first chapters of all organic chemistry books and you learn during the first semester of organic chemistry. Rule of thumb, electron-donor groups promote substitution at the ortho and para positions while electron-withdrawing groups promote the meta position. In particular electrophilic halogenation is a very useful method to introduce diversity in the molecules as the aromatic halides generated can be easily modified for example with the use of cross-coupling reactions. Electrophilic aromatic halogenation can be performed in the presence of strong halogenating reagents in some cases although the use of Lewis acids is typically required. 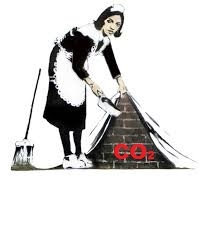 What to Do with All That CO2 Stuff? The Scripps Institution of Oceanography at UC–San Diego reported the past April 2014 a terrifying new milestone of 400 ppm of CO2 in the atmosphere. The accumulation of CO2 into the atmosphere is causing a growing reinforcement of the natural green house effect and is thus “extremely likely” causing the increase of average temperature in our planet. In other words, if we continue denying the evidence of a strong relationship between CO2 emissions and climate change we may reach a “no-return point”. Let’s not be apocalyptic YET. There is a real concern about CO2 in the scientific community, research institutions and funding agencies are promoting a change of mentality towards bigger efforts on CO2 research. And here it comes the question, What to do with all the CO2? It is a tricky question with no easy answer as unfortunately there are many international conflicts of interests in terms of CO2 emission and climate change. From a scientific perspective there are a few strategies that can be followed to reduce, avoid and make a smart use of CO2. -Smarter use of energy: an indirect way to reduce CO2 emissions. Invest and research in more efficient use of energy, insulation of buildings, fuel-efficient vehicles. For a higher effectiveness, all this must come along with educating people about a more conscious personal attitude toward energy use. -Fuel shift from coal to gas: another way to reduce CO2 emissions. As simple as the amount of CO2 produced by burning gas is sensibly lower than by burning coal. -Renewable sources of energy: such as sun, wind or geothermal. A field in continuous growing and development with the major drawback of reliability of supply as renewable energy often relies on weather and geographical location. -Carbon capture and storage: This technology with the focus of capturing and storing CO2 in huge amounts attracted the attention and enthusiasm of many. But there are also certain doubts as it can be seen as sweeping the CO2 under the carpet due to the uncertainty about the time permanence of stored CO2 and the possible impact on natural systems. -And last but not least, Transform CO2 into chemicals. This is, no doubt, my favourite strategy, what did you expect? I’m a chemist. Transforming CO2 into chemicals is an indirect way to trap CO2 in a productive way and thus reducing the carbon footprint. 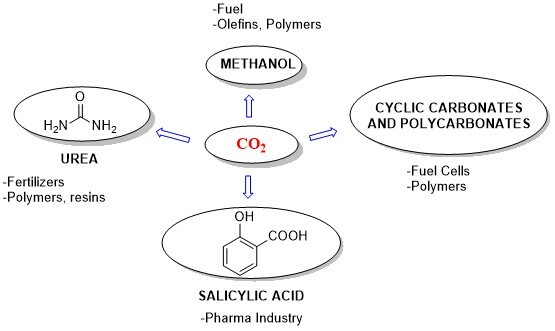 CO2 has its most important application in the synthesis of urea for the industry of fertilizers and urea-formaldehyde resins, it is used in the synthesis of salicylic acid (the precursor of aspirin), the production of carbonates through direct reaction with epoxides and has many prospective applications in the area of polycarbonates and fuel production. Production of chemicals with CO2 will pay off if two main objectives are accomplished. The first is that the amount of CO2 produced burning fuels for energy for a process must be lower than the CO2 transformed into a chemical. And the second is that the time CO2 stays as a chemical must be long enough to have an impact on the accumulation of CO2 into the atmosphere. – Martina Peter, Burkhard Köhler1, Wilhelm Kuckshinrichs, Walter Leitner, Peter Markewitz, Thomas E. Müller. Chemical Technologies for Exploiting and Recycling Carbon Dioxide into the Value Chain. Chem. Sus. Chem. 2011, 9, 1216–1240. – Michele Aresta, Angela Dibenedetto, Antonella Angelini. Catalysis for the Valorization of Exhaust Carbon: from CO2 to Chemicals, Materials, and Fuels. Technological Use of CO2. Chem. Rev., 2014, 114, 1709–1742. Frustration to a Good End. Frustration: “The feeling of being upset or annoyed as a result of being unable to change or achieve something”. It sounds like a very negative feeling that every researcher has felt at some point at their careers. It is not the case for the topic of Frustrated Lewis Pairs, where frustration is actually a good thing. But, what is a Frustrated Lewis Pair (usually abbreviated as FLP)?, well not that fast, let’s start for the beginning. One of the basics of chemistry reactivity is that the combination of a Lewis acid and a Lewis base leads to the formation of a classical Lewis adduct as exemplified by the combination of borane with ammonia to form the ammonia-borane adduct NH3.BH3. But, what happens if we introduce steric impediments in both the Lewis acid and the Lewis base? Then, it comes “the frustration” of the adduct. Do not mistake this with the actual frustration of a chemist attempting a reaction that does not work. In this situation, the steric demands preclude formation of simple Lewis acid-base adducts and then is when we have a Frustrated Lewis Pair. In this very particular scenario where both acidity and basicity remain unquenched, FLPs have an extraordinary reactivity towards the cleavage and activation of small molecules such as hydrogen, alkenes, alkynes or CO2 among others. Unarguably the most important and more developed applications are within the fields of activation of hydrogen and catalytic hydrogenations. 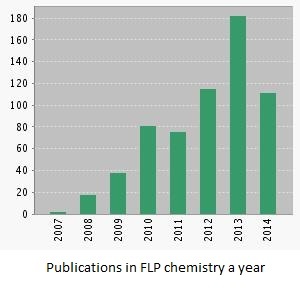 The number of publications and citations in Frustrated Lewis Pairs chemistry has been increasing since the first publication in 2006 by Douglas Stephan, one of the “fathers” and most active researchers of the topic. In my opinion there is still a long way to walk and we’ll see in the next years new developments in catalytic asymmetric hydrogenation along with applications in areas such as hydrogen storage, CO2 capture and fuel cells. Gregory C. Welch, Ronan R. San Juan, Jason D. Masuda, Douglas W. Stephan. Reversible, Metal-Free Hydrogen Activation. Science, 2006, 314, 1124-1126. Stephan, Douglas W.; Erker, Gerhard. Frustrated Lewis Pairs: Metal-​free Hydrogen Activation and More. Angewandte Chemie, International Edition (2010), 49(1), 46-76. X-Ray Snapshots. Mechanism Study on Pd-mediated Aromatic Bromination. Because I have suffered all these problems in the lab is why I consider so remarkable the mechanistic study of a Palladium-mediated aromatic bromination published by Fujita and co-workers in 2014 in JACS. The strategy carried out by the authors consists of the use of a crystalline flask of ZnI2 and tris(4-pyridyl)triazine in which the Palladium complex object of the study is embedded. The reaction is performed in the crystalline flask and the intermediates captured in-situ by time dependent X-Ray diffraction. The authors literally take “photos” of the catalytic cycle of the reaction and show in-situ cristallography as a great tool for the elucidation of reaction mechanisms. Do you want to know more? Then go directly to the source. 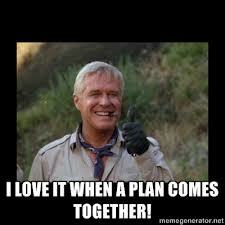 “I love it when a plan comes together” didn’t work for me. If you were a kid in the 80’s (as I was) you have probably recognised the quote in the title “I love it when a plan comes together” from the leader of The A team Hannibal Smith. And now you are picturing Hannibal (I am) saying his quote while lighting a big cigar. Well, I have to say that things didn’t work for me that way but I’m not less happy because of that. I guess that many people, scientists (yes, scientists are people after all) or more specifically chemists like me make a lot of plans with lots of time in advance imaging how their careers in science will be. I decided I wanted to be a chemist at the age of 16. So, there I was collecting all type of information on “how to become a chemist” and I started to write my own script , my own pathway to become a chemist. Study hard, get good marks, go to university, study hard, get good marks, get a Ph.D. fellowship, publish a lot in good journals, go abroad for a couple of years as post-doc, work hard, publish a lot, get permanent position and live happily ever after doing chemistry stuff. It wasn’t that difficult, was it? -Go to see supervisor to discuss about the best options to get funding for my Ph.D.
That was the exact moment my script started to have major failures, my supervisor changed everything when he recognised to me that I would have more opportunities in a better chemistry group. He knew how much I wanted to do a Ph.D. and took the liberty to contact one of his colleagues from probably one of the best groups in organic chemistry at that time in Spain. This is what it was going on, my supervisor was “plotting against me” he was making plans behind my back, he dared to change my script, the script I had been writing for years. The morning I went to my supervisor’s office with the idea to talk about fellowships he had set me up with a phone interview for a Ph.D. position. Guess what, I got a Ph.D. position in an interview I had not included in my career plans. That moment definitely changed my life and my career. That was only the beginning, as I was writing the post I realised it was going to be too long and that I should write a bit more on “plan changes” in my next posts. Life has made many plans on my behalf and I had to re-write my script many times. Thanks Javier I will never be able to thank you enough.